Kanyon Rowan 2 WP Country Boots. A classic styled waterproof country boot made in Europe with two-tone full grain leather of the best grade and quality. 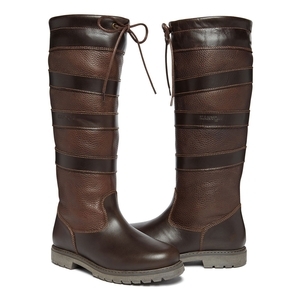 The boot features a high grip durable rubber sole and full length high quality breathable waterproof lining. Developed specifically for all day wear, these boots offer exceptional comfort and are ideal for outdoor pursuits, including yard work or simply walking the dogs. They look so good that they are great for around town too.